Have you ever tried snuggling up to your sweetheart when you’re each using individual air pads? Someone usually ends up in the crack. 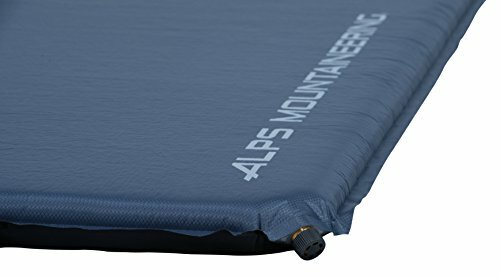 Try an ALPS Mountaineering Double Air Pad. 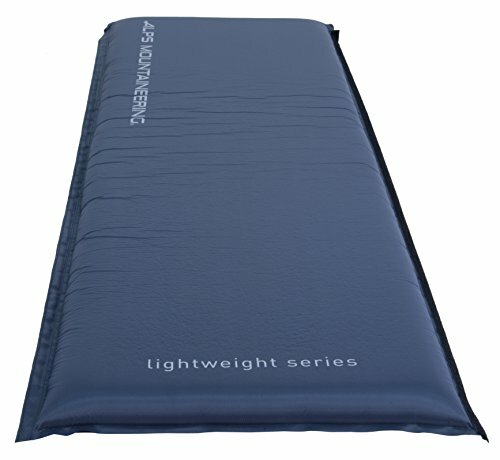 With the Velcro that attaches two separate air pads, you’re guaranteed to stay close thru the night. 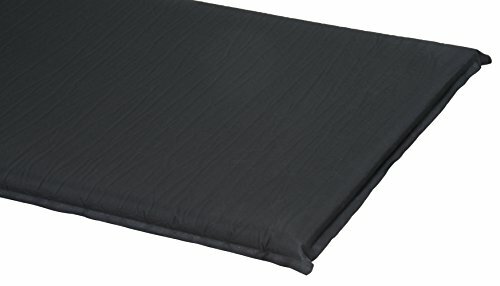 Another great benefit of our Double Air Pad is that you can use each pad independently, so when you’re out on your own, you have a nice 3″ thick pad. 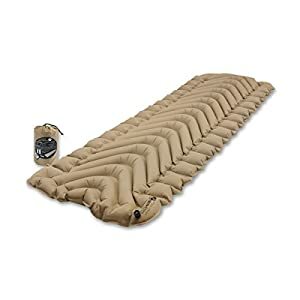 You can even fold them on top of each other for maximum comfort of 6″!! 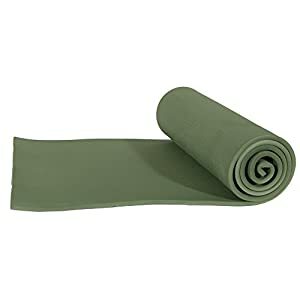 If you’ve ever used a Double Air Pad that is one continuous pad, you know that it’s virtually impossible to roll up and fit into a carry sack. 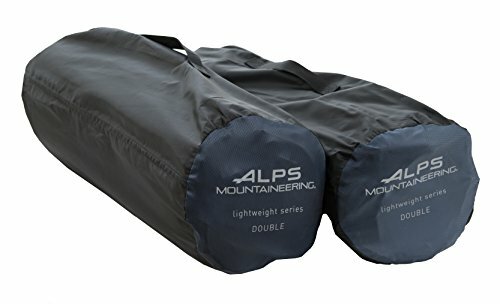 With the ALPS Double, since you have two separate pads, they each roll up separately so you can get them into a stuff sack and have a reasonable size. 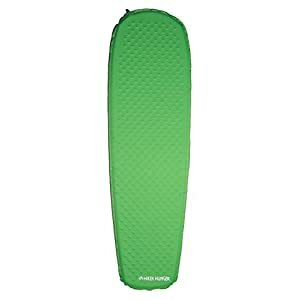 If you plan on doing some car camping, give this air pad a try – with so many functions and features – you’ll be glad you did! A FREE stuff sack, compression straps, and repair kit are included with every pad… something many other companies make you pay extra for. 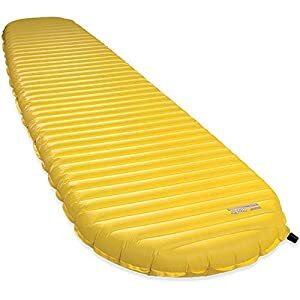 Dimensions: 75x47x3″, Weight: 9.44 lbs. Product is sold as-is. Every effort has been made to be assured product will be free from defects when purchased. 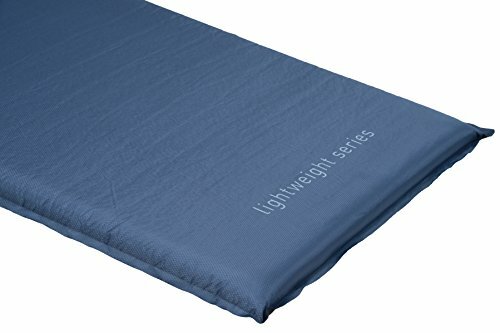 Ultra Lightweight Self Inflating Sleeping Pad – Built for Backpacking, Camping, Hiking, Hammocks, Tents, and More!